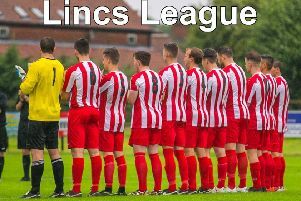 Skegness Town will return to action this weekend - looking to continue their defence of the county cup. Holders of the Mason Bros Lincolnshire Junior Cup, the Lilywhites are defending their crown when they travel to Scunthorpe-based Appleby Frodingham from the Black Dragon Badges North Division of the Central Midlands League. Two weeks without a game is not the best preparation for such a tough test, but the Lilywhites - who had a blank weekend after opponents Brigg Town Development Squad failed to raise a team - will at least have had more time for recovery from injuries. That said, Town boss Nick Chapman is still waiting on the fitness of Danny Steadman and Jordan Smith. Injured Miles Chamberlain will definitely miss the trip. Frodingham currently occupy fourth spot in the North Division after Saturday’s 3-2 win at 14th placed Brodsworth Welfare. Kick off is at 1.30pm. The Lilywhites are also away for the rest of December and January, with league trips to Nettleham, Ruston Sports, Immingham Town and CGB Humbertherm all scheduled. The next football at their Vertigo Stadium involves a handful of Skegness players in the league’s representative side. The team takes on the cream of the Staffordshire Senior League in the second round of the FA Inter League Cup, a competition for Step 7 league players, on December 9 (KO 3pm). The squad will include Travis Portas, George Hobbins, Jordan Smith and Luke Rayner-Mistry.